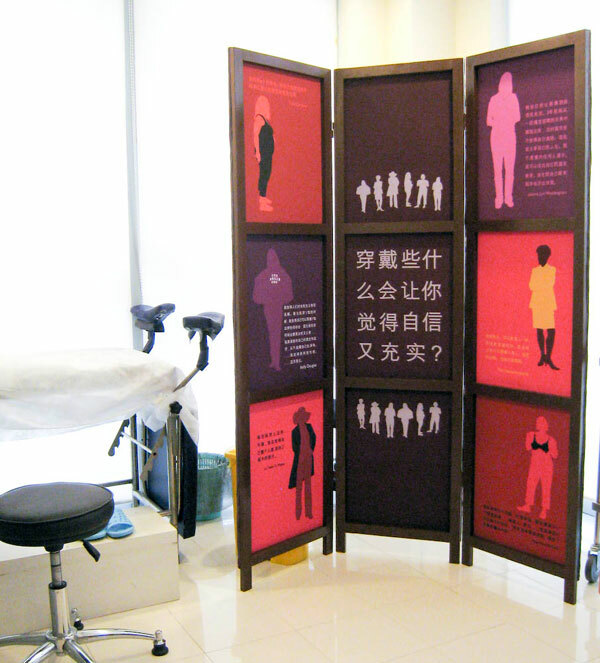 Trappings: Shanghai Hospital Dressing Screen was commissioned by the Zendai Museum of Modern Art for their Intrude: Art and Life 366 project . It was installed in a gynecological exam room at the Meinian Health Center in Shanghai, China on October 4th and will be installed for two months. More informatin about Intrude: Art and Life 366.